The HTC One SV is heading to Australia and Singapore and on Thursday, HTC widened the itinerary to include the U.K. where it will be offered with 4G LTE most likely for EE. While we have not heard about the Taiwan based manufacturer taking this show to the U.S., on Friday word came out that the device had spent some time with the FCC. But there is a little mystery that will need to be cleared up before the HTC One SV becomes available in the U.S., if indeed HTC has that in mind. As it stands, the phone is expected to offer 4G LTE connectivity, as you might expect. 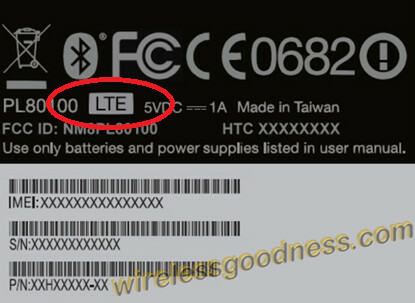 Even the label for the phone that was part of the FCC documentation revealed that it is an LTE device. But looking at the FCC paperwork, it included approval for WCDMA bands II and V, GSM bands 850 and 1900, dual-band WiFi, Bluetooth and NFC. Conspicuous by its omission was approval for LTE. We have seen by the amazing success of the Google Nexus 4 that not offering LTE connectivity doesn't make a phone dead in the water (the dormant LTE radio on the phone will only work in a very limited area when turned on with a hack), but the Google Nexus 4 might be the exception to the rule. Then again, not mentioning the FCC bands in the FCC paperwork might have been just an oversight. 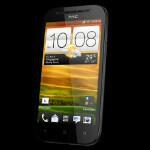 If the HTC One SV does end up strutting its stuff in the states, we will try to pin down either the FCC or HTC to get the mystery solved. If it doesn't come to the U.S., we refer you to the old saying used for pick-up basketball games: No harm, no foul. Why never report Sony Yuga's FCC visit? HTC SV coming to Asia ?